Termites can be infesting your commercial property without your being aware of it. Any damage produced may be hidden from sight until the damage becomes extensive. 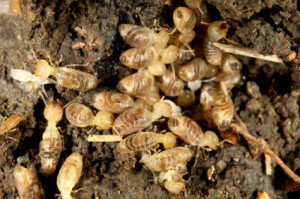 Termites will feed off of any wood based areas of your business. They can live in elaborate underground networks underneath a mound, within the walls or even inside of furniture. Let Strategic Industries handle your commercial termite services using our proven products, materials and processes.